The construction of the house on Ministry of Housing land west of King Khalid International Airport in Riyadh was completed by the Dutch company Cybe. 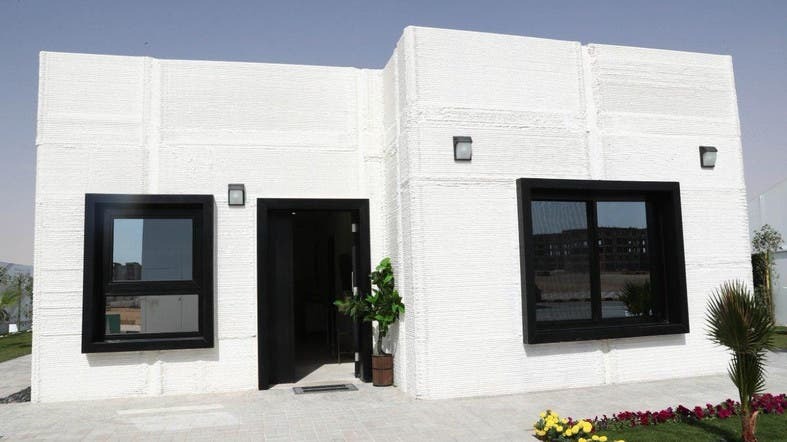 As part of the wider Saudi Vision 2030, the country’s Ministry of Housing has announced the success of building the first house using 3D printing technology in the Middle East. “The aim of this experiment is to compete with the technological progress in the world of future construction, to benefit from the latest technologies in the world, and to be a pioneer in promoting the adoption of innovative construction techniques in the construction sector and the localization of its industry in the Kingdom in line with the objectives of the Kingdom's Vision 2030 and the National Transition 2020 Program,” a statement read. The construction of the house on Ministry of Housing land west of King Khalid International Airport in Riyadh was completed by the Dutch company Cybe, which is one of the leading companies that owns the technology in the world. The house will be available for visits and access for a period of five days to specialists, workers and those interested in this sector - engineers, architects and companies specializing in the field of construction. This step comes in line with the initiative to stimulate the technology of construction, one of the initiatives of the private sector launched by the local content and private sector development “Nama” center for research and studies and technological progress in the process of construction. “Through introducing 3D printing, which is one of the most innovative ways to build a reliable future, contribute to the manufacture of integrated residential units through digital model components, and looks at the use of this technology in the future to reduce the costs of collection, transport and construction in addition to being eco friendly. "The Building Technology Initiative seeks to create a proactive and supportive environment for experiments and research in the field of future building technologies and 4G technologies. Therefore, it has conducted numerous experiments to develop some modern building techniques in an attempt to adapt it such as 3D printing,” the statement read.